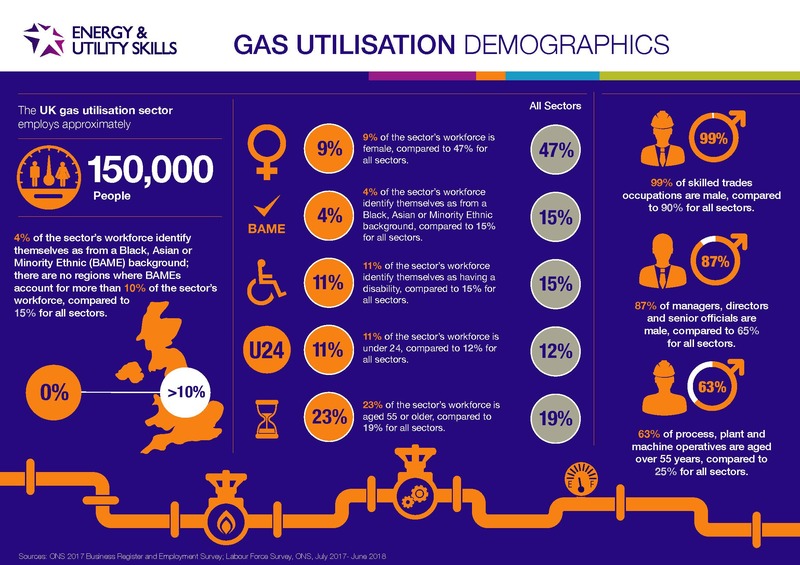 The Energy & Utilities Skills Partnership launch a sector inclusion commitment as part of ensuring workforce resilience. 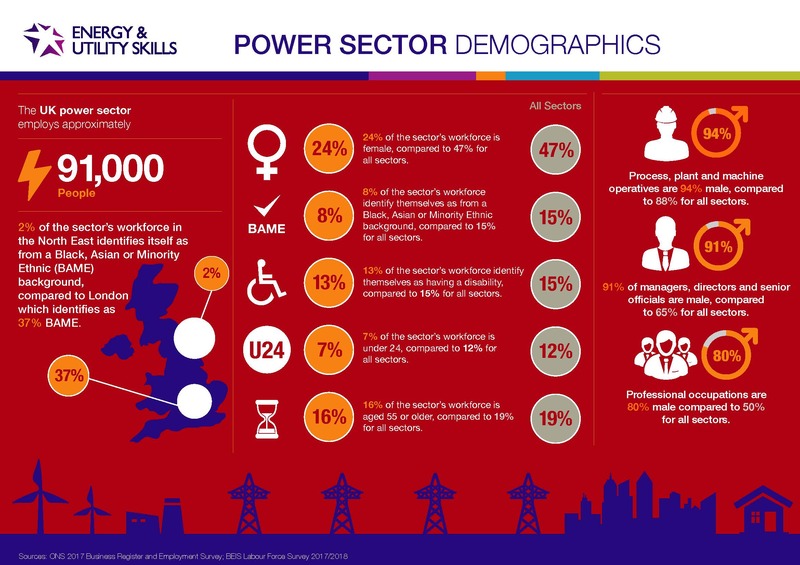 A key priority of the Energy & Utilities Workforce Renewal Skills Strategy: 2020 is attracting and recruiting more diverse talent into our sector which reflects our local communities. 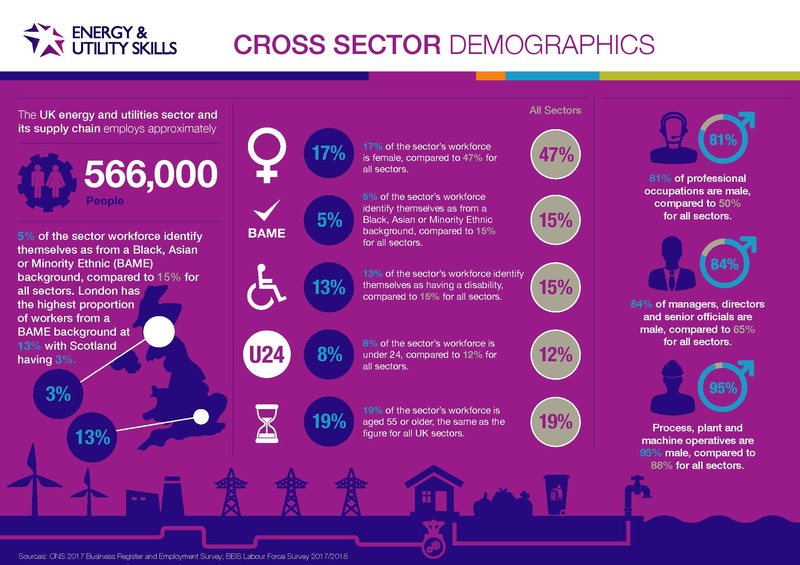 Currently, our sector is not yet representative of the UK workforce for gender, BAME, disability, and under 24s. 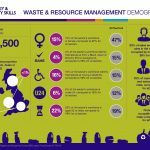 Only 5% of the sector’s employees are from black, Asian or minority ethnic groups compared to 11% nationally. Most of our workforce is male and white. 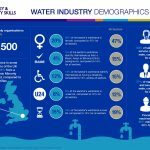 Facing this challenge, CEOs from the sector’s leading businesses have committed to proactively changing these statistics and promote their businesses to under-represented talent. Leveraging its collective impact, the partnership is committed to working across all sectors to recruit and attract a workforce that mirrors and speaks to the communities it serves. 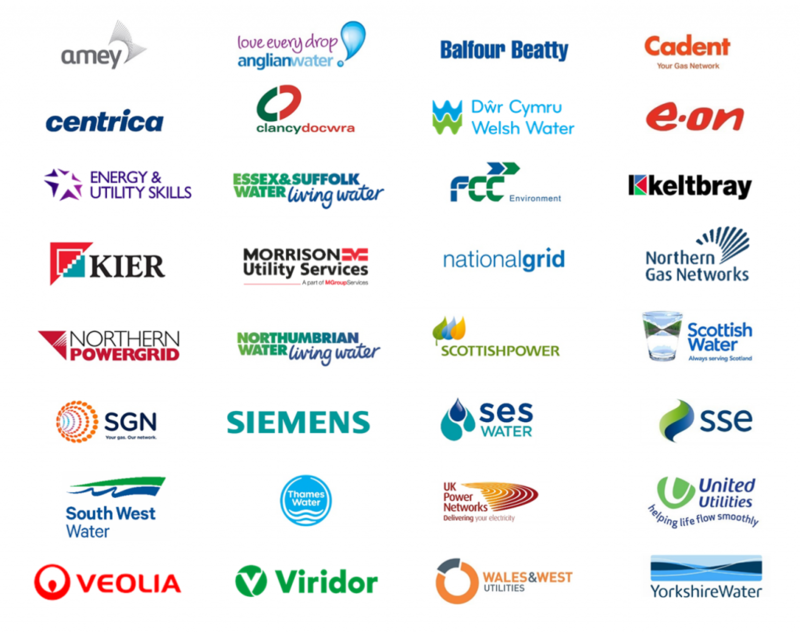 Through its work, the Energy & Utilities Skills Partnership and its CEOs will highlight the great work already being done by the sector as well as continuing to drive change through its ongoing commitment to inclusive attraction, recruitment, and development of its workforce. 32 sector organisations have launched the inclusion commitment on the 11 February 2019, as a step in tackling the challenge we face together, recognising that no one company can do this alone if things are to change. 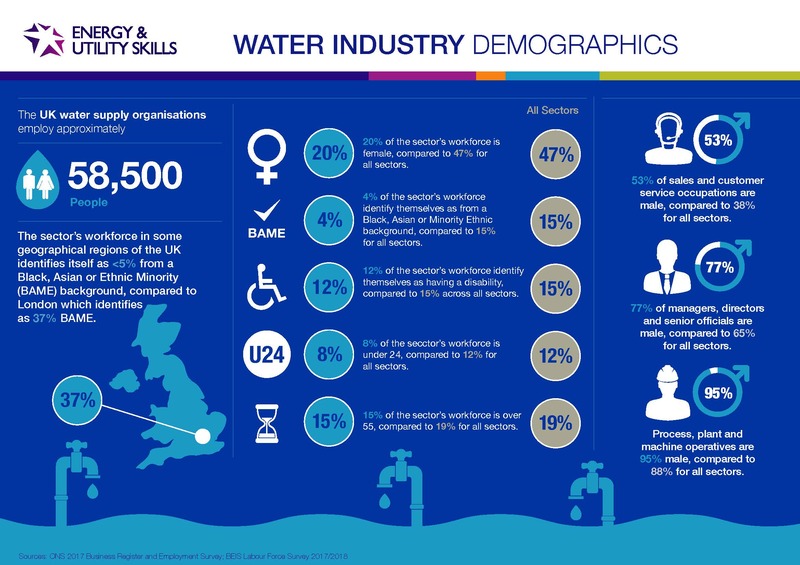 Being inclusive enables our sector to attract and retain the diverse talent that is crucial to ensuring a resilient workforce. Being inclusive will help us to more innovative and achieve greater productivity by adapting to our changing environment. Having a diverse workforce ensures we are reflective and inclusive of the customers and communities we serve. 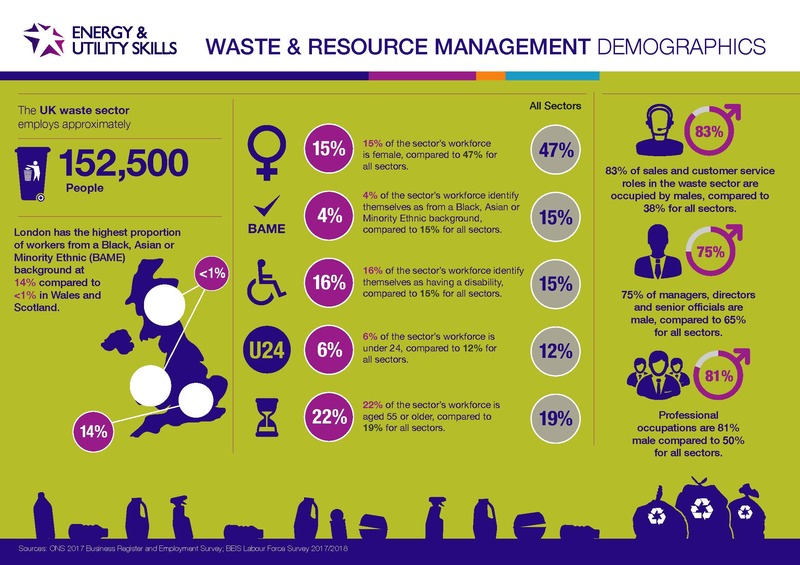 Focus on inclusion in its entirety, however our sector history requires targeted sector action to start by increasing gender, BAME and disability workforce representation. Measure and be transparent about progress in our individual organisations and as a sector. Ensure we create the culture we need to attract the workforce of tomorrow. Be inclusive in the way we attract, recruit and develop our people. To view the infographics in full, click on an image. 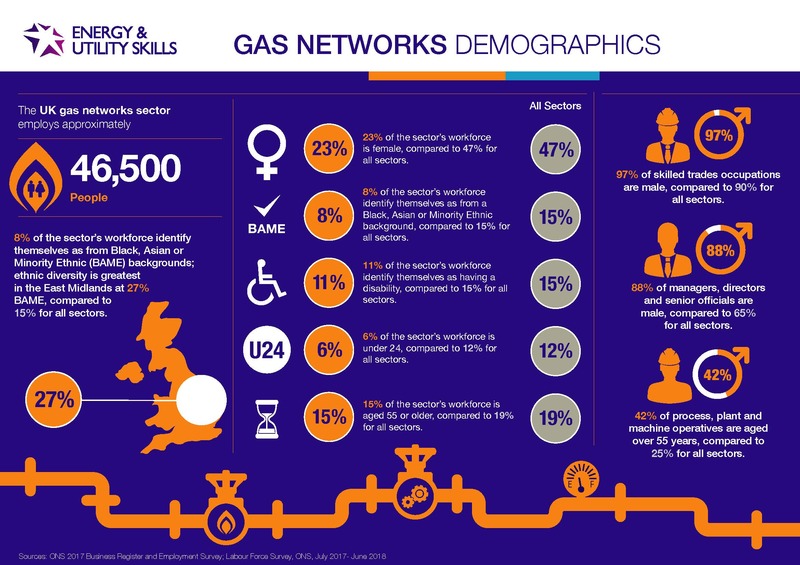 The sector is already collaborating to ensure our industries have a sufficient pipeline of diverse talent entering the sector, whilst retaining quality candidates for the future. Talent Source Network is a collaboration of 27 leading organisations that is tasked with supporting identified sector needs. 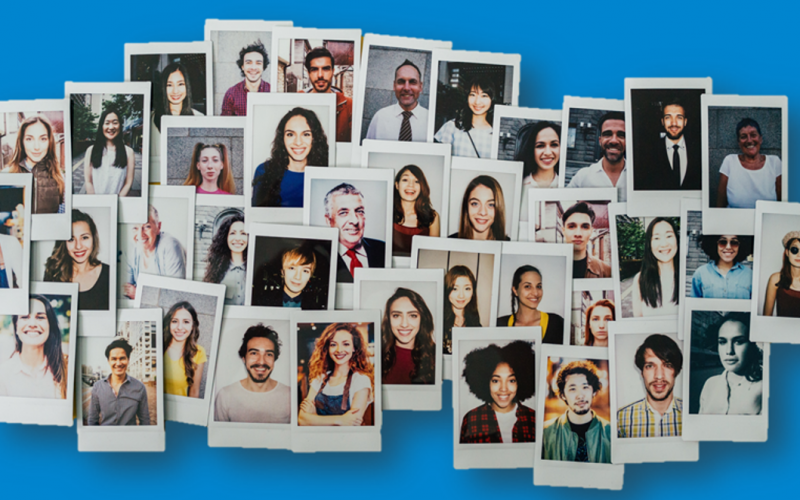 Talent Source Network connects employers, talent and partners. While also focusing on delivering targeted campaigns on sector attraction, recruitment and talent retention with youth entrants, Apprentices, Graduates, redeployed professionals and service leavers. 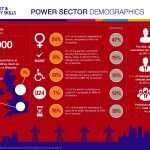 There is a focus on reaching some our underrepresented demographics including women, BAME and people with disabilities so the opportunities our sector has to offer are more visible to all. The Network is unique within the sector and specifically designed by and for our members for their needs. Using the strength of our collective brands and values: Talent Source Network allows us to showcase the sector; our people, our opportunities and careers to talent from all backgrounds. Read our White Paper – Is Enough Value Placed on Human Capital to Deliver Vital Infrastructure? If you’re an employer and keen to learn more about the sector’s inclusion commitment and get involved, please contact Louise Parry, Director of People & Organisational Development. 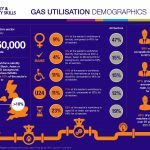 Want to find out more about a career in the energy & utilities sector? Visit Talent Source Network to search jobs and be inspired. To find out more about membership and our policy work, please contact 0845 077 99 22 or email membership@euskills.co.uk. For all press enquiries visit our Media Centre.